Little presents keep a friendship alive! So the Herbacin Hand & Skin Care5 Set makes a perfect little gift for here and there. 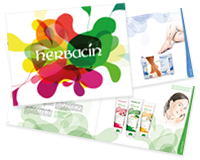 Discover the diversity of Herbacin while providing hands and skin with natural all-round protection – every day.